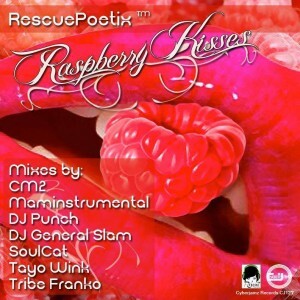 Raspberry Kisses – RescuePoetix™ with HOT Mixes !! When passion is embarked on, reason goes out the window. Everything changes color. As warm blooded beings, we thrive on touch and feel. The connection of person to person through a passionate “raspberry” kiss is a deeply sensual act that, when done right, affects every part of the body, mind and spirit, “melt each nerve as they pass into me”. Each sensation leads to an exploration of “liberated sensations too inebriated to have names”. A focus of the sensations become “rapture with each kiss” and intensifies, until we “discover delicacies uncommon to mortal man”. The kiss never ends, “cherished fruit to bear fruit”, becoming a wondrous echo of passion. 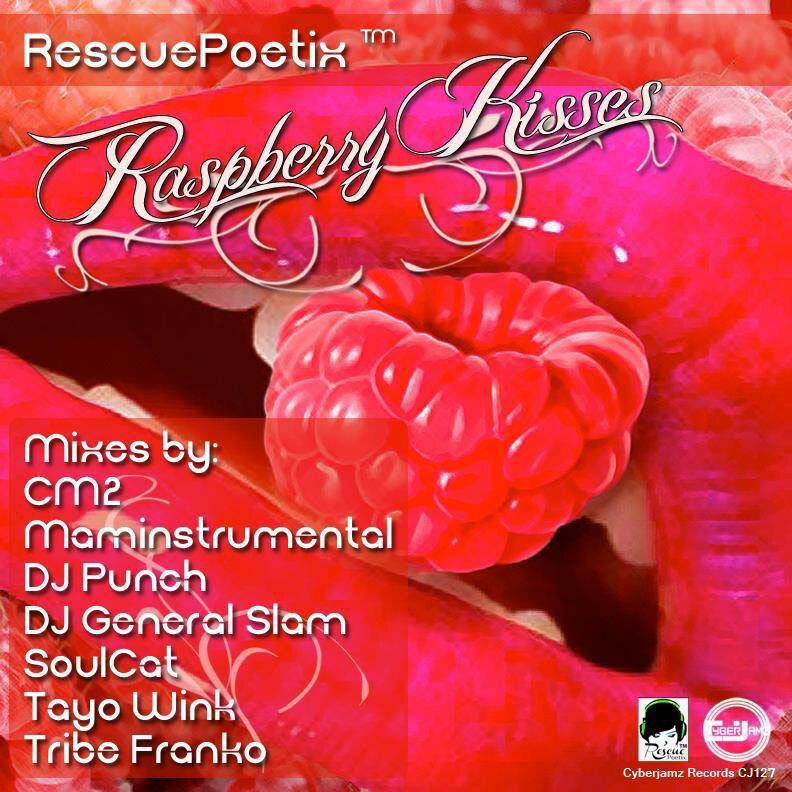 CyberJamz Records continue to bless us with nothing but the best in soulful underground house music with their latest offering “Raspberry kisses” by RescuePoetix, an entrancing truly precious production featuring the alluring poetry of one-of-a-kind spoken word artist RescuePoetix who talks about the passion of a ‘raspberry kiss’. As usual, CyberJamz let us choose from an exquisite truly varied selection of mixes by the likes of Cm2, Tayo Wink,DJ General Slam, DJ Punch, Maminstrumental, Mmeno Africa, Soul-Cat and Tribe Franko all adding their magic deep/soulful touch, giving you plenty of options to work the floor. Track #03 produced,mixed and arranged by Tayo Wink for Coyote Entertainment 2013. Keys and Mastering Francesco Cotardo (Italy) – Coyote Entertainment 2013. Baby Powder Music BMI 2013. A&R Sammy Rock for Coyote Entertainment 2013.